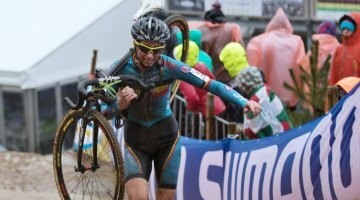 Pedal-Assist Motorized Wilier Cyclocross Bikes Available Online – Femke Van den Driessche’s Bike’s Mechanical Doping Via an Off-the-Shelf Bike? 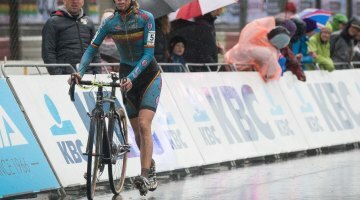 It turns out that Femke Van den Driessche’s motorized Wilier cyclocross bike may not have been a marvel of engineering by her team, mechanics or father. 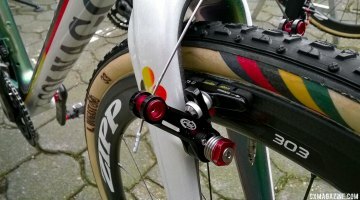 It turns out that online retailer salden.nl offers the Wilier cyclocross bike already equipped with a pedal assist motor starting at €4,990 or about $5500 USD. salden.nl offers a Wilier cyclocross bike pre-equipped with a pedal assist motor that is said to offer 150 watts of additional power. 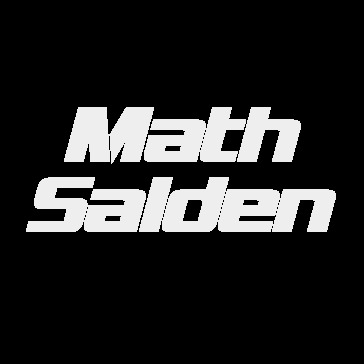 Or the salden.nl folks have a sick sense of humor and have added this option to get some free attention from this disturbing “technological fraud” development we saw at the 2016 Cyclocross World Championships’ Women’s U23 bike race. (Update: It’s back up. 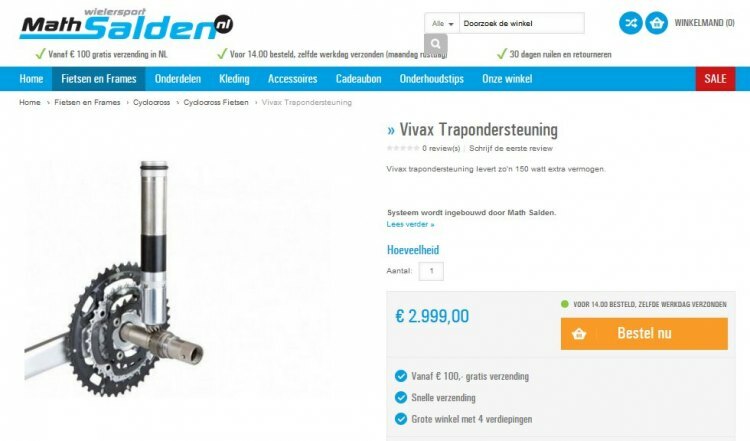 30 minutes after we published this story, the retailer took down the product offering, and offers the Vivax pedal assist system, as well as a Vivax-equipped road bike said to offer 200 watts of extra power). Vivax was formerly known as Gruber. 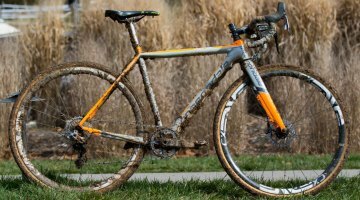 While selling a pedal-assist bike certainly isn’t illegal, perhaps “mechanical doping” isn’t so difficult for amateur or professional cyclocrossers everywhere. The Vivax system’s components are revealed in this image. 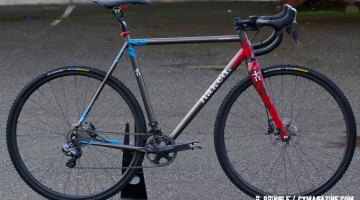 Will we need to bike checks at local races in the States? Or will we need standard-issue bikes as we see in the Little 500 bike race made famous by the movie Breaking Away? 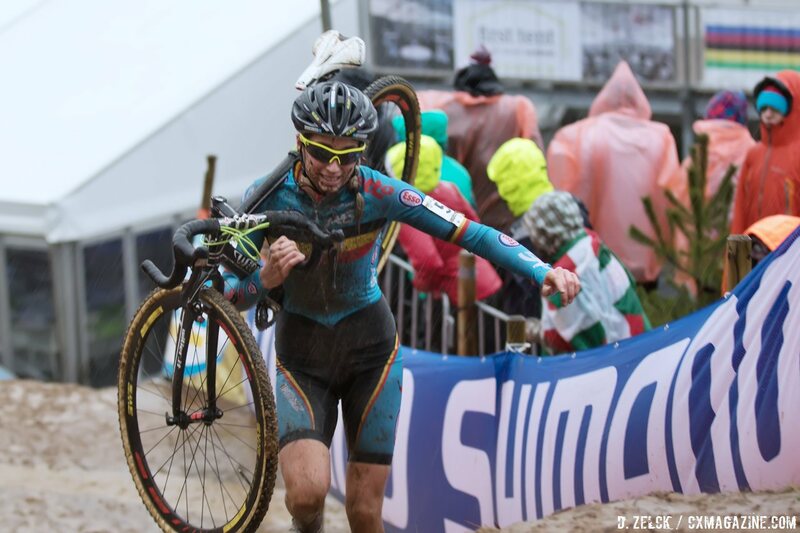 Stay tuned to Cyclocross Magazine as we bring you updates to this constantly-changing, mind-boggling issue. H/t to Kees van Dalsem and Jason Bye for the tip. cyclocross considering Wilier threatened to sue Van den Driessche – I’d wager these guys won’t be selling Wilier much longer. KevmoBikes We are really hoping so…but didn’t put down the credit card to fully test! Zal dit verhaal nooit een einde? Laat het rusten. cyclocross I would think it would cost watts just for a racer to know they were cheating this way. It’s a rather hollow victory, idnit? I’d like to think that this shop from the Netherlands is having a good laugh poking their Belgian rivals specifically using their bike in question. If so, genius! Mechanical assist should only be used for commuter bikes and cargo bikes. Every other use is questionable at best. In a racing setting, it is clearly cheating. uhalevi Merchull cyclocross lol but… Ali Express.. can it be trusted?